Her journey began with community college in her hometown of Normal, Illinois. Feathers moved to Phoenix in 2012 and started studying through ASU Online in 2013. 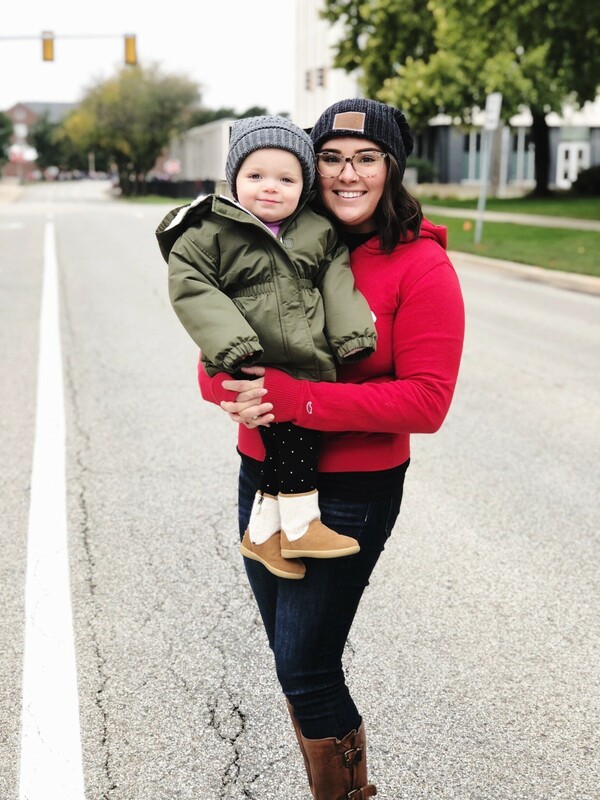 Throughout the years, she stayed in college and maintained a 4.0 GPA despite moving all over the valley, getting married, traveling, working full-time, moving cross-country back home to Illinois, becoming a triathlete and even having a baby. Feathers encourages prospective students to set small, attainable goals, show up for group projects, manage time wisely and organize assignments effectively. Answer: By the time I started my ASU Online career, I had already been working in a professional setting for about a year. In that time, I recognized a drastic difference between high-quality and low-quality leadership. I was inspired by my experience to study Organizational Leadership in hopes of someday being an effective leader myself. I knew that I wanted to lead people, not just manage them. I chose this field because I want to be the change I want to see in the workplace. A: One of the most eye-opening lessons from my time in the program was the effect of culture and its impact on behavior in organizations, from a norms and morals perspective, and in terms of organizational culture. In a time where we see Zappos hiring employees based on a cultural fit interview, Squarespace operating as a flat organization while also catering meals, offering 100 percent coverage of health insurance and monthly celebrations, or of course, Google allowing dogs in the office among a plethora of other amazing benefits, we see what an impact a positive and well-supported organizational culture can make on a company. Additionally, understanding that various cultural perspectives allow for less group-think, more collaboration, and a wider reach, resulting in more productivity and/or higher profits. We are all in this together! A: At the time, I was living in the Phoenix metro area. I had always planned on being an online student as I worked a full-time job, but I wanted to have the option to participate in student events or visit the campus whenever I wanted. My first visit to the valley was visiting my best friend at ASU our freshman year of college. I stayed for five days and I completely fell in love with the campus, the camaraderie and the overall dynamic at the school. I knew then that I wanted to be a Sun Devil. A: Dr. Dave Thomas taught me the important lesson of time management and planning, for which I will forever be grateful. He was a fantastic professor that I had the honor of taking more than one course with. He was informative and friendly — the perfect combination for a professor! Jessica Hirshorn was also a notable educator in the program that I will always remember. She taught me the most about culture and diversity in organizations. As previously mentioned, this is the lesson that has had the greatest impact on my life since. A: Keep going. I know school is hard and sometimes inconvenient in our busy lives, but there is a light at the end of that very long tunnel! It took me nine years to complete my degree, but here I am now on the other side! Additionally, give yourself small, attainable goals, show up for group projects, manage your time wisely and organize your assignments effectively. Q: As an online student, what was your favorite spot to study or to just think about life? A: For most of my college career, I sat on the couch. It wasn’t until I moved to the kitchen table did I realize that I could finish assignments in record time! I was too comfortable and easily distracted on the couch. At the kitchen table, I was more focused and eager to finish my work. My favorite place to think about life is at the gym. A: I am still working full-time at the same company. In early 2019, I will begin the Preparing to Lead program, where I will complete the required courses and modules to move toward a leadership position within my organization. For now, I am enjoying my free time with my husband and our daughter! A: I may not be able to solve a problem for $40 million, but I could make a big impact. I would use that money to the help the disproportionally underserved LGBTQIA+ community. Specifically, I would like to help at-risk youth by donating to Live Out Loud and trans women of color by donating to the TransWomen of Color Collective. 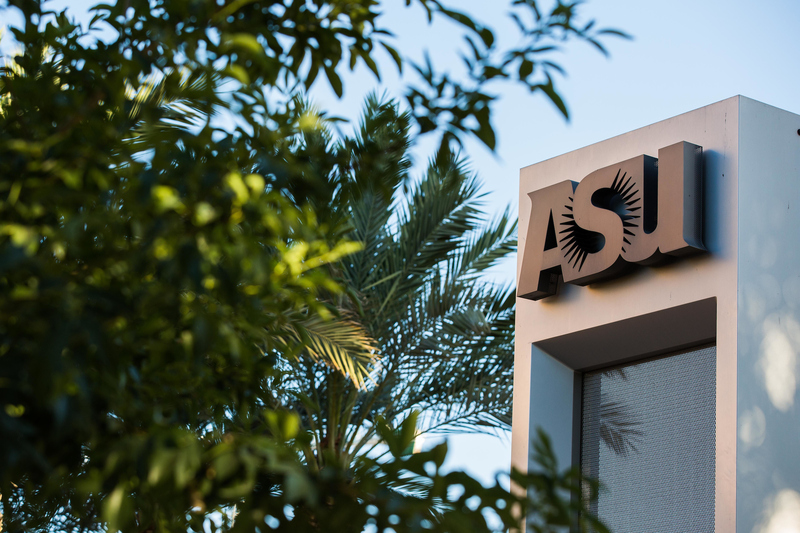 Three ASU faculty have been elected fellows of the prestigious American Association for the Advancement of Science in recognition of their career contributions to science. The AAAS, publisher of the journal Science, is the world’s largest general scientific society. In all, the ASU professors were part of 412 AAAS fellows chosen this year for their scientifically or socially distinguished efforts to advance science and its applications. Election as a fellow is an honor bestowed upon AAAS members by their peers. Within that general framework, each awardee is honored for contributions to a specific field. The three ASU faculty members' election this year brings the total number of AAAS fellows affiliated with ASU to 79. Bertram Jacobs is currently serving as the director of the School of Life Sciences and a professor of virology. As a member of Biodesign Institute's Center for Immunotherapy, Vaccines and Virotherapy, his research is focused on developing a vaccine for HIV — one that prevents infection or extends the lives of HIV patients. Jacobs also leads a group of students every summer to sub-Saharan Africa to teach AIDS prevention to the international community. Jacobs is one of the world’s foremost experts on a poxvirus called vaccinia, a cousin of the smallpox virus. He has genetically engineered vaccinia as a vehicle against a number of infectious agents, bioterrorism threats, cancer and other viruses, including HIV, and has received the Academic Innovator of the Year Award from the Arizona Technology Council. Jacobs is co-founder of a nonprofit called HEAL International that has taught HIV/AIDS prevention in rural Tanzania for 10 years. He also assists HIV/AIDS-related support organizations. He currently serves on the board of directors for Aunt Rita’s Foundation, on the advisory board for Support for International Change, and on the board of directors for HEAL. Hal Smith is a professor in the School of Mathematical and Statistical Sciences. His research focuses on differential equations, dynamical systems and their applications to the biological sciences. Differential equations constitute the basic language of how things change with time or with space, or with both: Newton's second law of motion (a unit of force is equal to a unit of mass of an object times the acceleration of an object) being the most well-known example. When looking at a biological system, for example, changes in the number of susceptible, infected and recovered individuals as an epidemic progresses, are often quite different than those that arise in the physical sciences. His more theoretical work, the subject of two monographs, is directed toward developing new mathematical tools that facilitate understanding the long-term behavior of solutions of differential equations arising in biology. He also works on applying these methods to particular problems including modeling the microbial community of the mammalian gut, the in-vivo dynamics of the HIV virus infection of immune cells and antibiotic treatment of bacterial infections. Huan Liu is a professor of Computer Science and Engineering within the School of Computing, Informatics, Decision Systems Engineering at the Ira A. Fulton School of Engineering. Liu's research focuses on feature selection and social computing, developing computational methods that deal with massive or high-dimensional data (web, text and social media), increasing the speed of data mining and machine learning, and designing efficient algorithms to enable effective problem-solving and real-world applications where intelligent systems play a pivotal role. Liu is also a fellow of IEEE, editor of the section on Data Mining and Management in the open access journal, Frontiers in Big Data, which provides a centralized pool of cutting-edge knowledge in machine learning, cybersecurity, data mining and other data-related disciplines. His research on social media data mining has tackled the role of social media on the Arab Spring and students in the Data Mining and Machine Learning Lab have delved into areas that are as fresh as today’s headlines — including the detection of “fake news” on social media. The new ASU fellows will be recognized for their contributions to science and technology, presented with an official certificate, and given a gold and blue (representing science and engineering, respectively) rosette pin at the Fellows Forum to be held on Feb. 16 during the AAAS Annual Meeting in Washington, D.C.